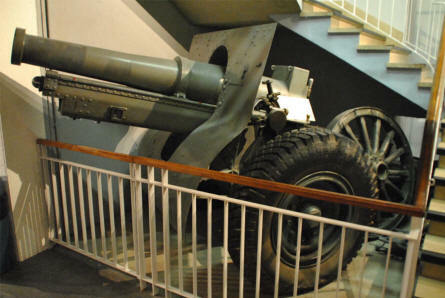 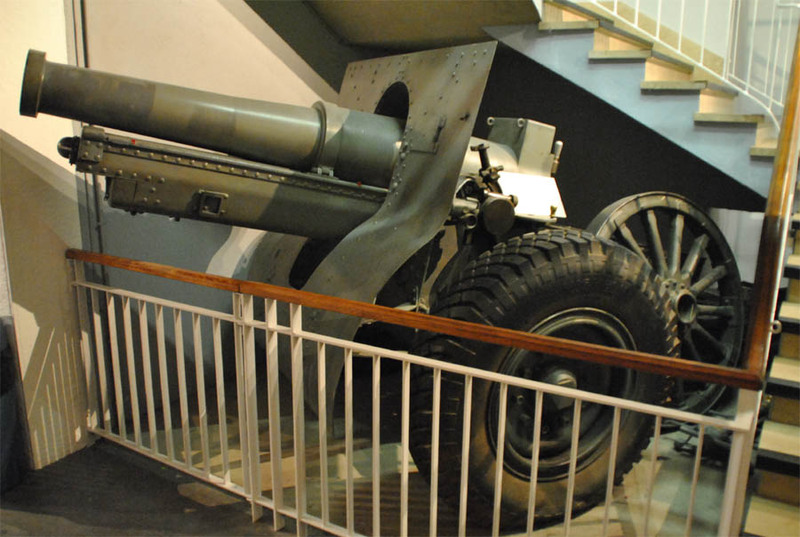 A World War I artillery gun displayed at the Memorial de Verdun. 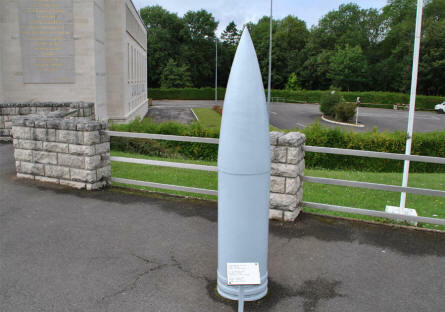 A large World War I grenade displayed outside the Memorial de Verdun. 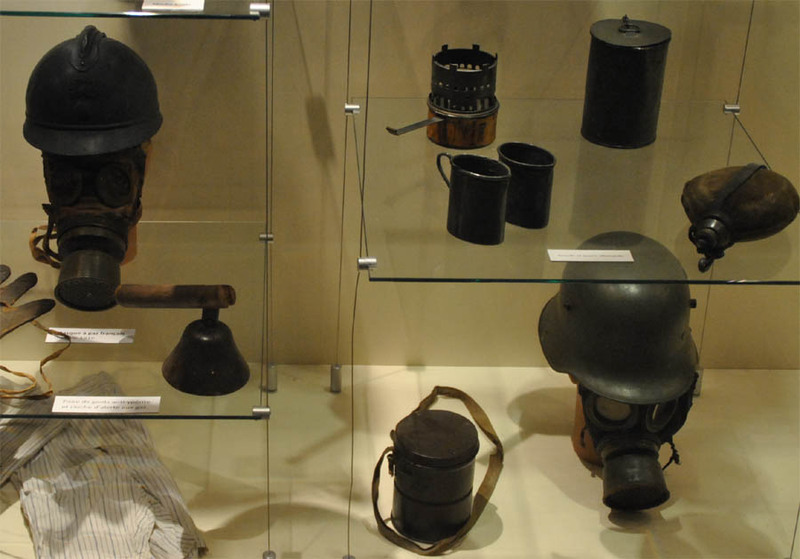 Some of the World War I helmets and gasmasks displayed at the Memorial de Verdun. 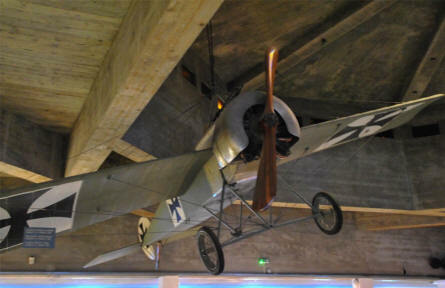 A full-size German World War I fighter aircraft displayed at the Memorial de Verdun. 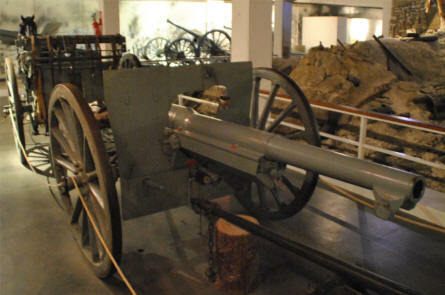 A horse-drawn World War I artillery gun displayed at the Memorial de Verdun. 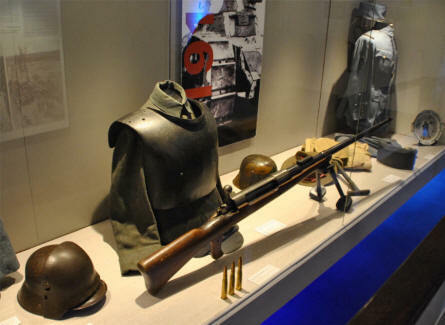 A World War I protective armour and a heavy rifle displayed at the Memorial de Verdun.